This weekend has seen the annual celebration of bats that is International Bat Weekend, so it is fitting that we have two bat walks in Shooters Hill this week: one at Woodlands Farm on Thursday, 31st August and then at Shrewsbury Park on Friday, 1st September. Thu 31st Aug 19:30 – 21:00 Join us for a bat walk around the farm. 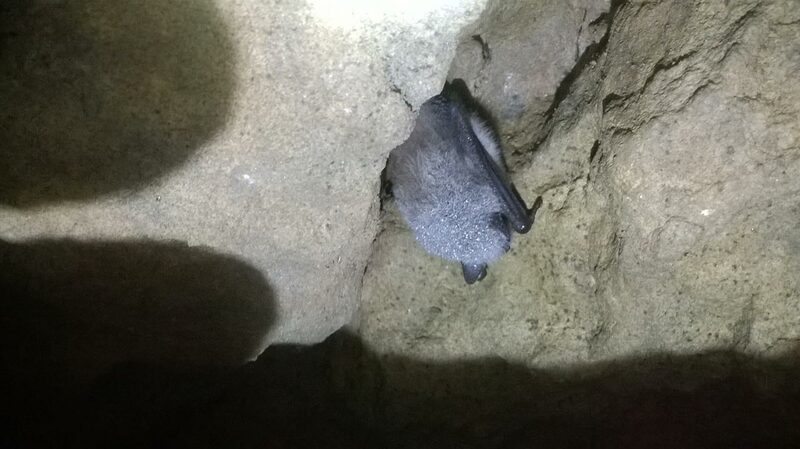 Woodlands Farm has a number of different species of bats, using bat detectors we will try to find some. The walk will start at 7.45pm. Please bring a torch and wear sturdy shoes. £6 adults, £4 per child. Booking is essential, to book call 020 8319 8900. If you have mobility issues or enquiries please contact us on werfsp@gmail.com and we will help you participate. The trail is a mix of paved path, gravel and grass. If it’s raining, neither the bats nor us will be coming out! 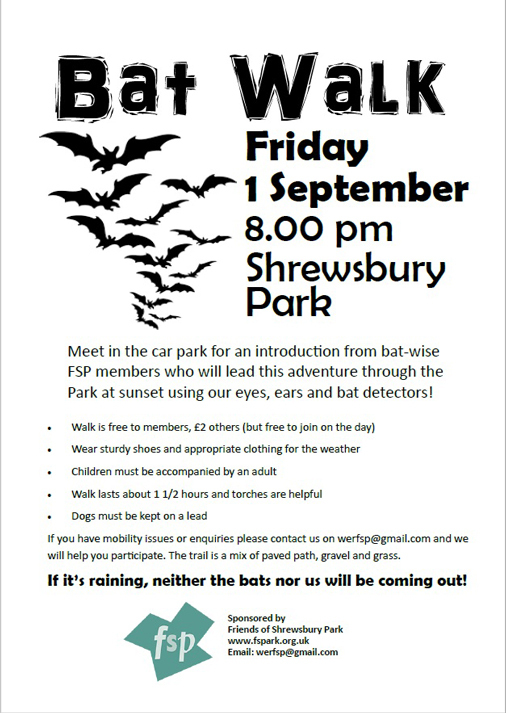 Meet in the car park for an introduction from bat-wise FSP members who will lead this adventure through the Park at sunset using our eyes, ears and bat detectors! It’s been a good year for bats in my experience. The National Bat Monitoring Programme field surveys in July went well. At Woodlands Farm volunteers detected a good number of pipistrelles, and also overflying noctules. We even detected pipistrelles in our Canning Town survey area which in previous years has had none, or perhaps a single pipistrelle detected at Canning Town Recreation Ground. It doesn’t help that the area has the noisy and polluting A13 running through it. There were also quite a few pipistrelles in the May Shrewsbury Park bat walk. As a bonus hedgehogs were seen at both the farm and Shrewsbury Park. One of my batty highlights of this summer was a bat walk at South Mere in Thamesmead led by Karen Sutton the Biodiversity Team Manager at Thames Water. There are lots, and I mean lots of insects flying over and around the lake, and these attract a large number of bats: noctules and the larger bats and possibly Daubenton’s bats over the water and common and soprano pipistrelles in the lakeside trees. It was a spectacular display of agile bats flying close to us spectators, and so many that it was difficult to distinguish their calls on our bat detectors to decide exactly which bat species were present. The highlight this year so far though was our waterway survey along the River Cray near Hall Place. For the first time since the Waterway Survey has been carried out here there were definite detections and sightings of Daubenton’s bats feeding over the river. They flit about very close to the water surface capturing their insect prey using their large feet or tail membranes. 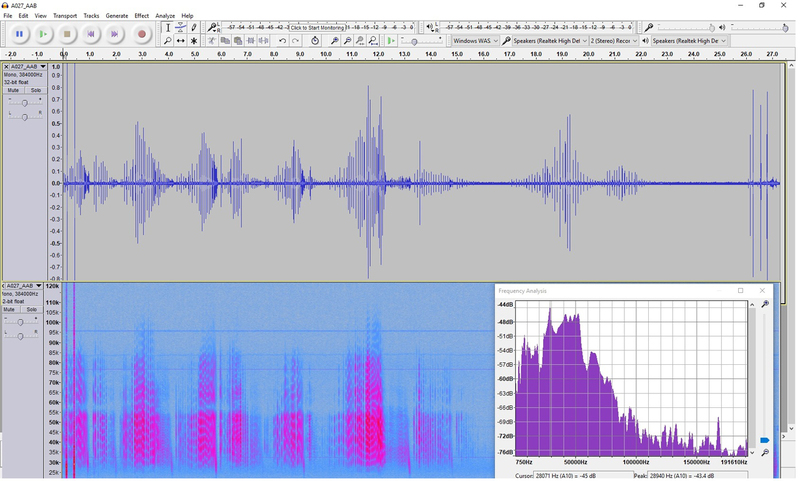 I recorded some of the echolocation calls using my new toy, a Peersonic bat recorder: the result is shown in the trace below which was analysed using the Audacity free audio editing software. I can foresee hours of fun analysing the details of bat calls!